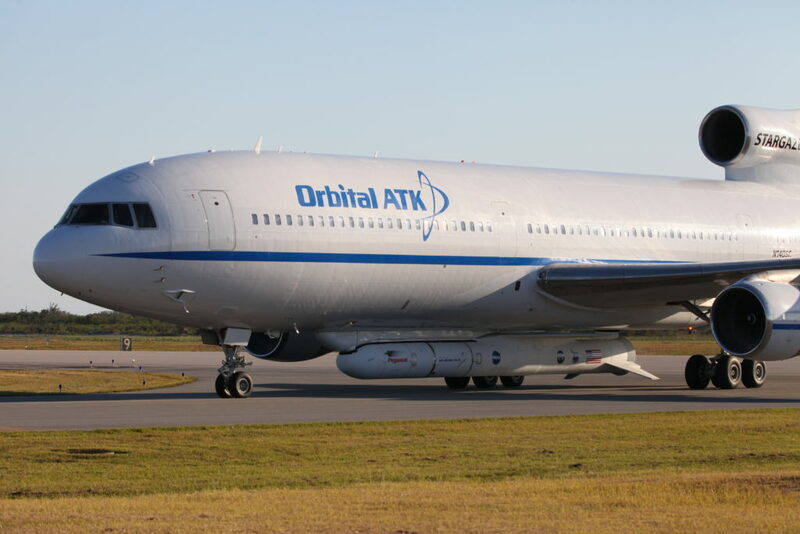 Orbital ATK’s Pegasus rocket gets its payloads into space just like a conventional rocket, but instead of lifting off from the ground, the Pegasus starts its trip already in the air. 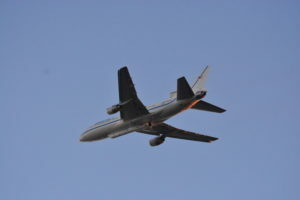 That’s because a modified L-1011 airliner carries the Pegasus and its payload – CYGNSS in this case – to about 39,000 feet. Pegasus begins its solo flight by being released from the belly of the airliner. A revised forecast from the U.S. Air Force 45th Weather Squadron predicts deteriorating conditions and a 40 percent chance of favorable weather for the launch of NASA’s CYGNSS spacecraft. Launch is scheduled for 8:24 a.m. EST Monday, Dec. 12 aboard an Orbital Sciences ATK air-launched Pegasus XL launch vhicle, seen on the right beneath the L-1011 aircraft called “Stargazer” that will carry the rocket to a deployment altitude about 39,000 feet above the Atlantic Ocean. The primary concerns are for precipitation, lightning and Cumulus clouds. 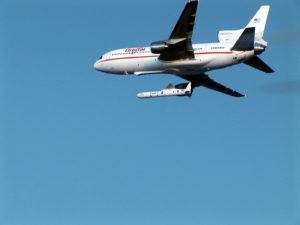 The rocket is scheduled for deployment over the Atlantic Ocean from Orbital’s L-1011 carrier aircraft, seen above with the Pegasus underneath. 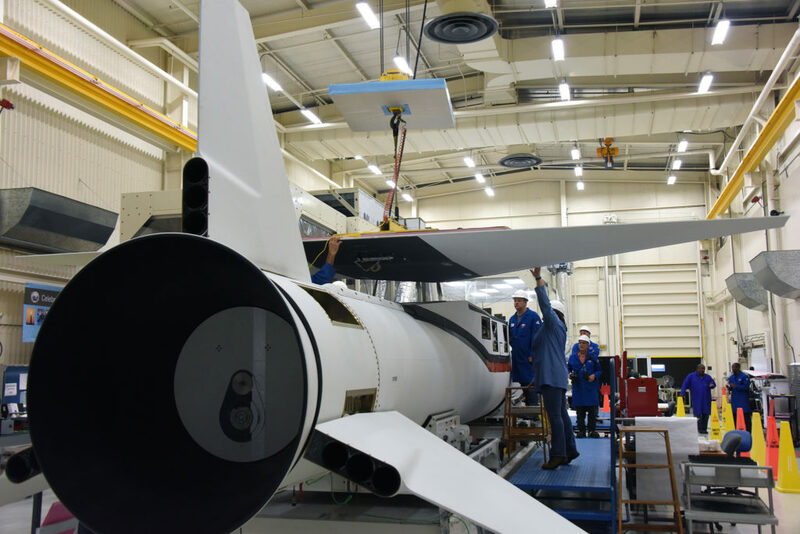 Managers from NASA and Orbital ATK will hold a final Launch Readiness Review Saturday morning, followed by two news conferences. The Prelaunch News Conference will be at 1 p.m., followed by the CYGNSS Mission Science Briefing at 1:45 p.m. Both will be carried live on NASA Television and the agency’s website. 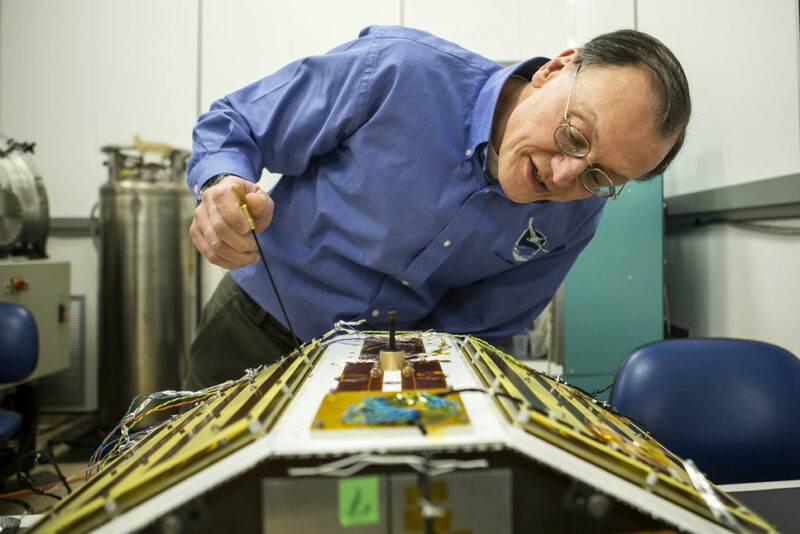 The first weather forecast for NASA’s CYGNSS mission shows meteorologists from the U.S. Air Force 45th Weather Squadron predict a 70 percent chance of favorable weather for the launch window. Launch is scheduled for 8:24 a.m. EST on Monday, Dec. 12. 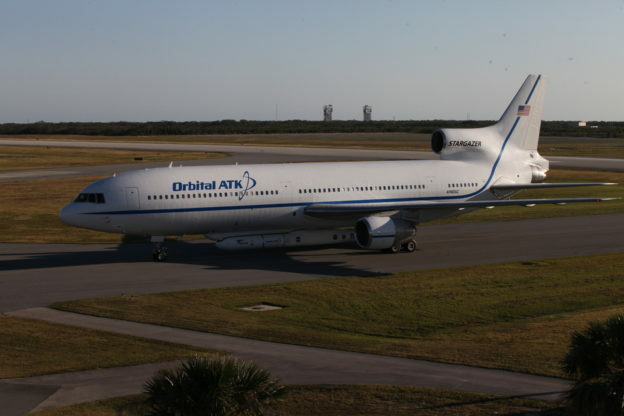 During the one-hour window, which opens at 8:19 a.m., CYGNSS will take off aboard an Orbital Sciences ATK air-launched Pegasus XL launch vehicle. 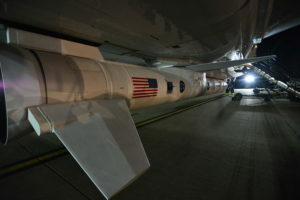 The rocket is scheduled for deployment over the Atlantic Ocean from Orbital’s L-1011 carrier aircraft, seen in these photos with the Pegasus rocket beneath it. Photos by NASA/Kim Shiflett (top) and NASA/Randy Beaudoin.